Our daughter loves this car seat which we moved her into from the cybex cloud q. Initially she faced rear wards but she kept pulling her arms out of the straps and looking round so we put her forwards facing and swapped the straps for the “block” restraint system. We were dubious about if this would be comfy but she hasn’t noticed it at all and is really really happy. We like that cybex test their seats to a higher speed than other brands and always feel that our daughter is very very safe in this seat. The rotation facility is brilliant for getting her in and out and the tilt is great if she needs to have a sleep as her head doesn’t fall forwards at all. Would recommend this seat completely!!! I love this seat it’s comfy, easy to manoeuvre, simple to see when in the right position and my little boy loves it. Only issue as can be more difficult to initially fit in bigger cars and sits more upright. Absolutely love this car seat, it’s very secure and safe. My daughter is two and still rear-facing with lots of room for her legs still. Great value for money, I highly recommend to parents. 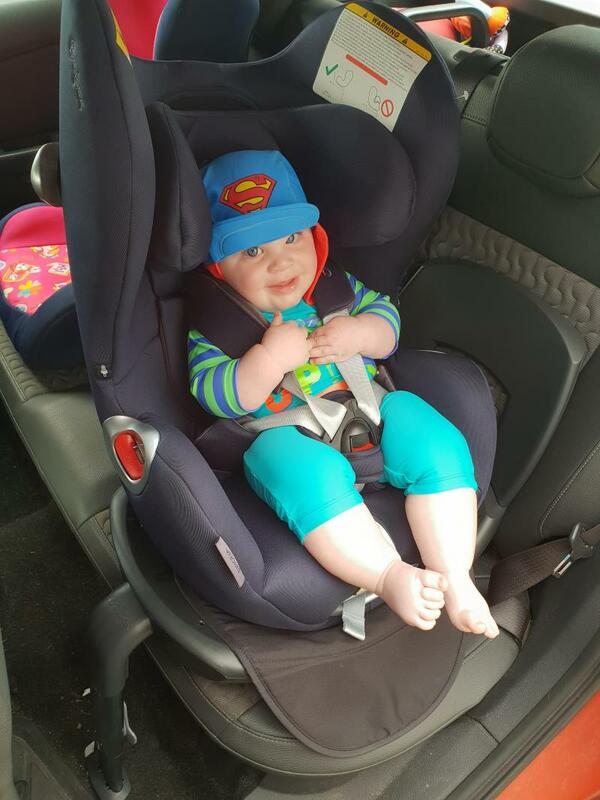 This car seat is perfect- the 360 rotation makes it easy to take your child in and out and it’s padded nicely so super comfortable for long journeys! Bought this car seat from Mothercare during a promotional deal, paid £250 for it. Sales assistant fitted it for us and showed no us all it’s bells and whistles. Really pleased with it! Daughter was born a tiny 6lb6 and looked very small in the seat, but comfortable. It is very secure and does not wobble when secured properly. When little one gets bigger the new born insert can be removed and the chest straps altered. Now little one likes to sit up more and look around, I do not lay her fully reclined, instead she sits more upright. It’s very easy to move from one vehicle to another. My parents (in their 70s) even manage to install it in their car. It’s not too bulky, although if you have a tall person as a passenger in the front, they will not have much leg room, my other half is 6’1 and tends to sit in the back with little one as he has more room in behind me. Overall we love it and I haven’t come across any negatives or anything I don’t like about it yet. We had the newborn cybex car seat previously which was part of our pram travel system. At 10 months the newborn seat was looking a bit small so we decided we needed to get a bigger seat, this one is from newborn to 4. The seat has a newborn section but we just removed it as we didn't need it. The new car seat no longer fixes onto the pram, however being and to lift the car seat with my baby in was getting increasingly hard so I very rarely did this and can't remember the last time I fixed it on the pram so it was no real loss. Besides the great safety of this car seat the 360 turn on it makes getting baby in and out of the car seat so much easier. 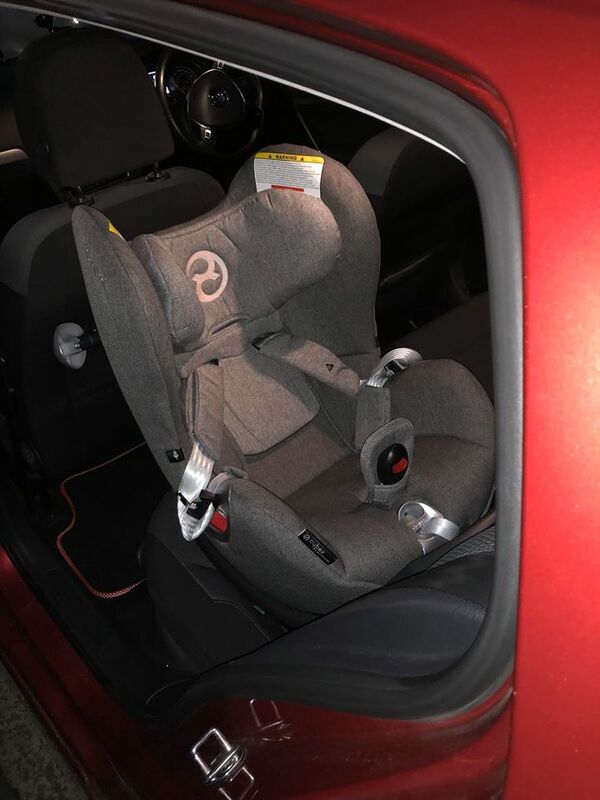 The seat also has a feature that you cannot place it forward facing until the baby meets the weight /height requirement so reduces the likely hood of baby being faced forward before they are ready by mistake. The turn of the seat is really smooth and I've had no problem operating this at all. You can also adjust the recline on the seat very easily. The seat belt is really easy to click on and undo and generally my baby seems very comfortable in the seat. If your looking for a car seat which is one of the highest rated for safety, has a 360 turn and is really easy to use then I cannot recommend this seat enough. My baby looks so comfortable in this, and it’s great being able to lay her back when she’s tired. It’s very big and bulky, and heavy too. 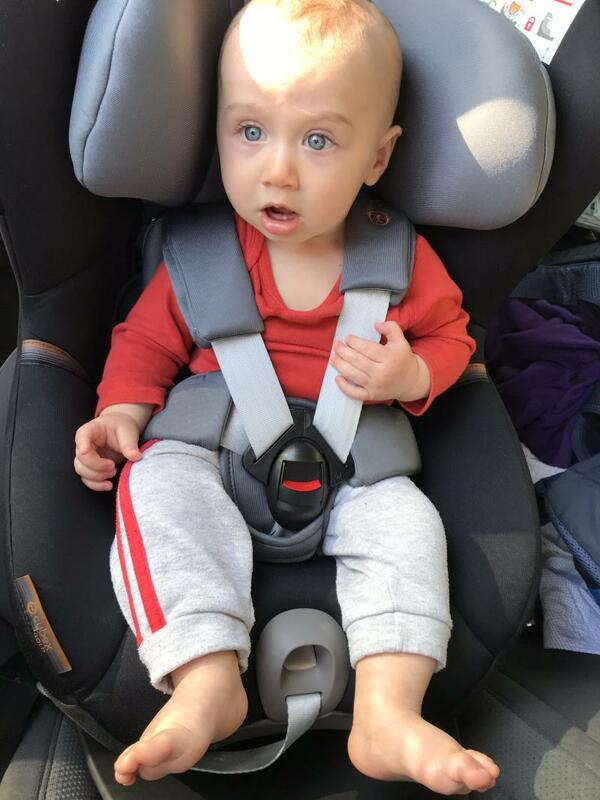 Overall, I absolutely love this car seat!!! It’s rated the highest safety wise, and it just seems so much more comfortable than any other seat we’ve tried. My daughter seems to love it too. It’s great being able to lay her back when needed, or keep her a little more straight up if it’s not quite nap time. It is large and heavy, so could be a pain if you need to swap it from car to car. I would definitely recommend! Love this car seat. Tried many in our car and this is the only one that fit correctly and ensured my son was reclined enough and his head didn't fall forward. Great 360 turn which has made it easy to access him and get him in and out of the car with ease. Very easy to put in and remove from car. I purchased this car seat because my baby got too big for his maxi cosi. I love this car seat and I’m so please we got it! It’s so easy to use and I find the straps are so easy to tighten (on other car seats I find they can be fiddly). I love that my baby can be rear facing for longer as it’s safer, but also so easy to put forward facing. Easy to put the baby in because of the 360 turn. The only thing I don’t like is the choice of colours. We got ours in black but the other colours weren’t very nice and it’s also expensive but I feel it’s worth the money. It’s also a bit of a pain because it’s so chunky, I sometimes use it in another car and is a pain to get in and out. We absolutely love this car seat. For the first 8 months we have used it with the newborn inlay as we have a super tiny baby. The 360 degree turn is amazing, and means you can easily get baby in and out of car even if you have to from the other side of the car. It has been easy to transfer in-between cars when necessary but wouldn't advise it if you needed to regularly, as seat is quite heavy. Only down side is that you can't transfer your baby from car to house, or onto shopping trolley, or even out of the hospital, in practice this has caused us no problems, she goes in a carrier, trolley baby seat, or pushchair, she may wake but re settles again quickly and I believe this has helped her when disturbed in sleep at other times. 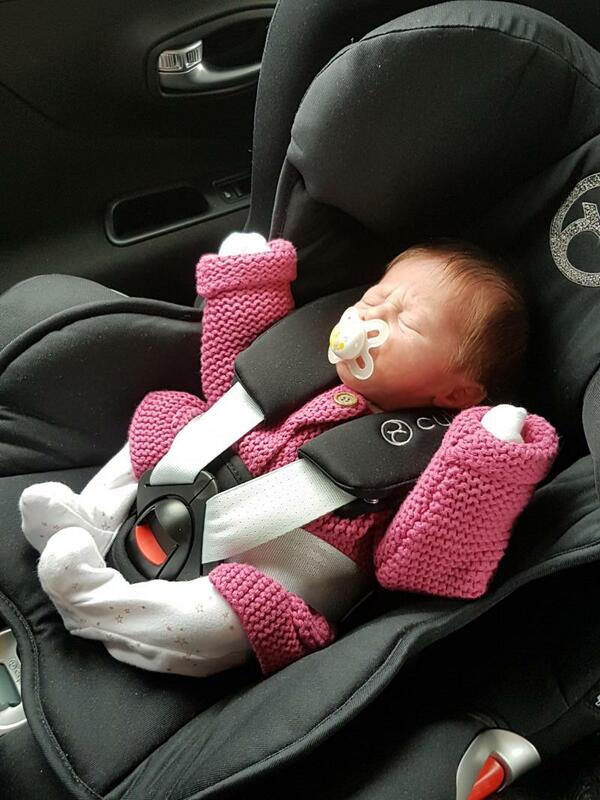 When we first left the hospital she was wheeled out in her cot to the car, so all issues overcome and it means your not tempted to leave baby in car seat for longer than advised! I couldn't recommend this product more. We also have a removable car seat as it was a gift but only use this for other people's cars. The difference is comfort for her is obvious! We also chose this car seat for the longevity, and lots of my friends with older children have bought one since seeing ours, and wish they had it from newborn. Brilliant easy to use car seat. Slightly expensive but very safe and tested for side impacts which a lot of other car seats aren’t. Spin feature make it easy to get little one in and out. Like that she can be rear facing until 4 years old as this is much safer than forwards facing. Baby is comfortable. Lots of padding and support. Easy to fit. Fixed option for front and rear. Only has fixed front or rear facing no easy swivel like others. Easy to put him in and out. Lots of padding for comfort. Easy to wash and remove from car to car. Also love the side protection shields it has. Comes with a newborn insert. Love how easy the isofix is to fit. Two security checks to ensure fitted correct. My son was a 10lb baby and at 2 and weight 2.4 stone fits comfortably. After using multiple car seats over the last 9 years and 3 children this is by far the best car seat I have ever had. My 8 month old would scream when we put him in his carrier car seat and always looked uncomfortable so we brought this a few months back and what a difference! He doesn't scream anymore, he looks comfortable and has plenty of room and what I love most is that he can be rear facing for a lot longer. I would recommend everyone buy this car seat. I love love love this car seat. It looks so comfortable and I know my baby’s safe in it. I have back problems so the 360 makes it so much easier for me to get my girl in the car. It is expensive but it is the safest car seats around. My daughter is so comfy in this falls asleep instantly. The recline on this is great. She can sleep nicely and has been able to use this from newborn because it lays right back. The inserts are so soft and comfy. Baby has loved this seat from 3m to 12m rear facing but he is so tall we have had to turn front facing as his legs ran out of room! He is slightly less happy front facing as the bolster cushion makes him sit with his arms in a strange position, but he does like being able to see where we are going! The seat looks fab in the car and feels very good quality. I didn't find any weakness of this product so far! I found this car seat in Mothercare. I went to buy another one but walked out with this one. 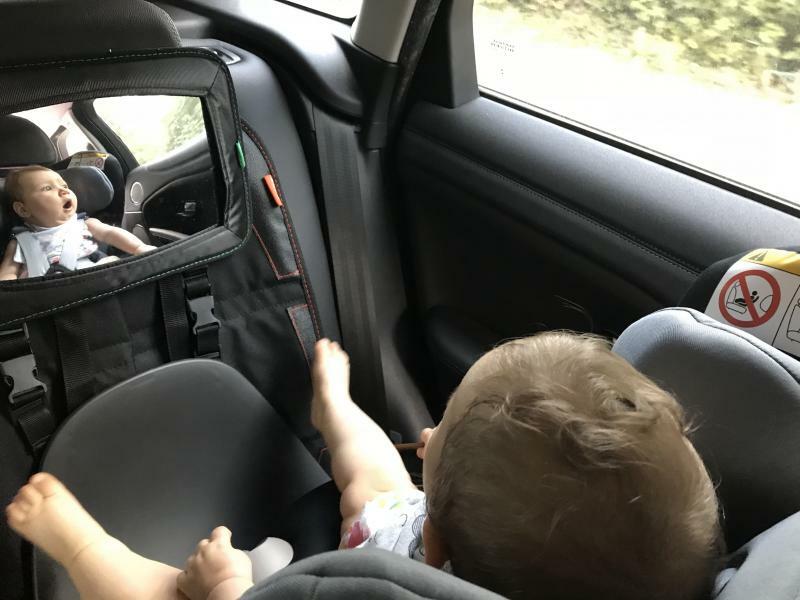 It's much more comfortable than the others,my little one felt relaxed from the first moment when we put her into the seat! We bought this product as we planning longer trips and felt it will be the best for our baby! Great from newborns, 360 Rotation makes it easy to get baby in and out of car, comfortable. Extended rear facing is not possible for tall babies/children. I bought this car seat as it was rated one of the highest for safety. Also for the extended rear facing and because I had hoped to be able to use it all the way up until 4 years. Unfortunately for my wallet my baby is very tall and will grow out of it sooner than I had of hoped and won't be able to stay rear facing in it for as long either. Right now my baby is still rear facing with a 5 point harness so I haven't been able to test out the impact shield as of yet so I can't review that part of the seat. I've used this seat since newborn and love how much the car seat reclines. I travel a lot up and down the country to visit my family so I wanted to invest in a car seat with flattest recline and this seat fit the bill. From a newborn up until 10 months which my child is now, it's been a fantastic car seat. 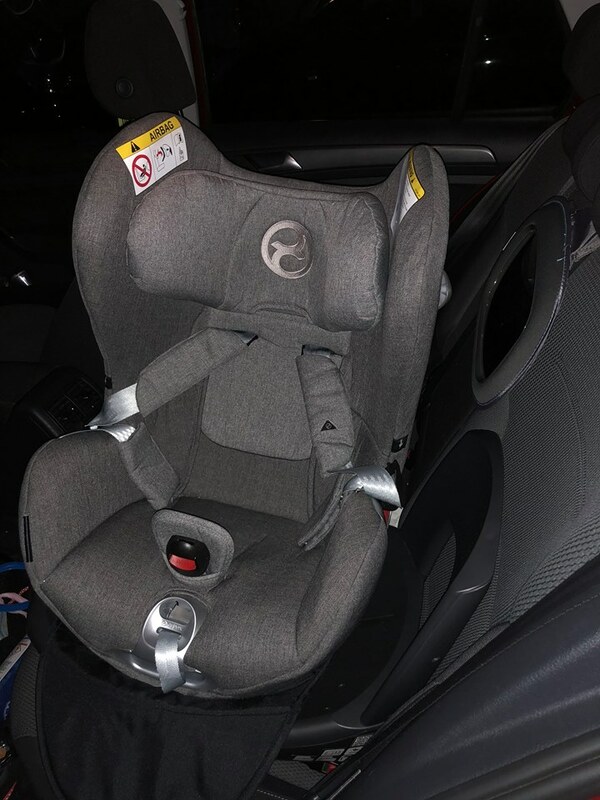 The 360 degree rotation on it is fantastic as it makes it a lot easier to get my baby out of the car without having to lean over too far, especially helpful as i had a c-section as well. My baby has always appeared to be very comfortable in it and falls asleep in the car as soon as he goes in it. It's a little bit bulky and can be a bit of a pain to get in and out of the car but I don't tend to move it to other cars often so it hasn't been too much of a problem for me. Once securely in it feels sturdy and safe. This car seat is also fixed to the base so it can't be moved out quickly and easy and your baby can't be carried around in it. We currently use the seat in a Golf, 3 door Vauxall and I've been able to fit it safely into a Fiat 500. Although in the Fiat I couldn't use the rotation due to it only being a 3 door and a small car! 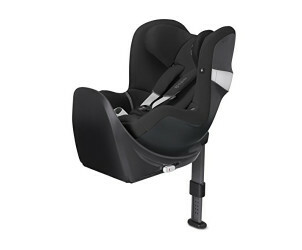 I would recommend a different car seat if planning to use this car sear in a small car like the fiat 500 or a bigger car if you want this seat to be able to use all it's features. All in all it's a great seat. If you have a tall baby/child and are wanting to rear face for as long as possible I wouldn't recommend this seat. If your baby is average height and weight then it is an expensive seat, but is worth it as it feels very safe, secure and comfortable for my baby. I will be using my Sirona for next baby when my little one grows out of this one. 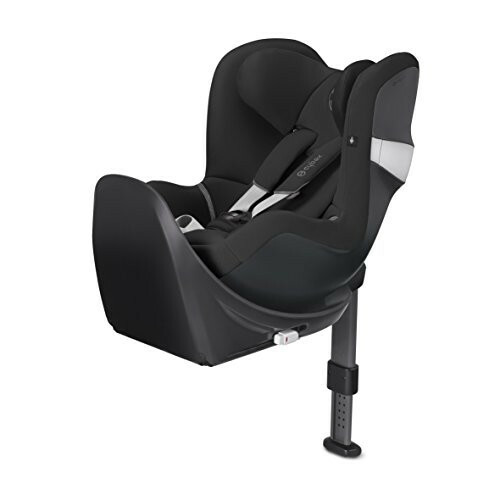 The CYBEX Sirona Base M I-Size Car Seat can be used to transport your child in a rear-facing position from birth until they reach 105 cm in height (approx. 4 years). The new design takes into consideration all sizes so there is plenty of leg room for everyone. The Sirona M2 i-Size can be easily installed in smaller cars. Additional features such as the one-hand reclining function provide extra convenience and make everyday use easier.